If you’re in search of books on the topic of web design to expand or start up your book collection, here’s 20 web design books worth considering. All books are linked to their Google Book Search page so you can see previews, reviews, and other related works associated with it. 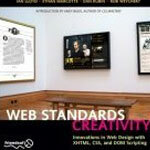 Web Standards Creativity features innovative examples of beautiful and feature-rich web designs that are fully web standards compliant and includes entries by some of the world’s top web designers. Designing the Obvious offers pragmatic solutions and ideas for developing web application designs to make the users’ experience more effortless and less unproblematic. 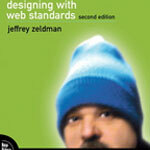 Written by the highly-accomplished designer and editor in chief of A List Apart, Jeffrey Zeldman’s Designing With Web Standards covers intermediate to advanced techniques to help you create designs that comply with current web standards. 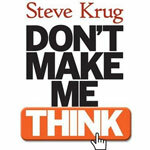 Don’t Make Me Think! is a very popular web usability book that covers viable techniques and concepts that you can apply to a winning web design. An ineffective navigation scheme can confuse viewers and reduce the likelihood that they’ll navigate outside of the landing page. 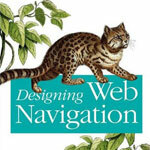 Designing Web Navigation is an in-depth book on the topic of web navigation. 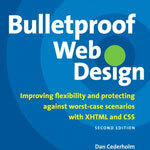 Bulletproof Web Design by Dan Cederholm talks about creating designs that cater to a large variety of situations. With websites being viewed in non-traditional ways (such as mobile devices), it’s imperative to develop accessible designs. 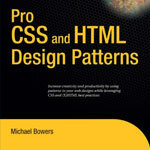 Written by the world-renowned author Michael Bowers, Pro CSS and HTML Design Patterns talks about advanced CSS/HTML models and formulas. Expect to read about browser box model differences, explanation of the different doctypes, and much more. 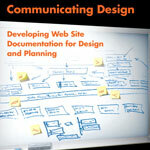 Authors Dave Shea and Molly Holzschlag discuss key design ideas for creating a visually-appealing web design. 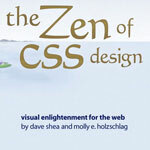 The book features designs from css Zen Garden and is a great read for anyone looking to be inspired. 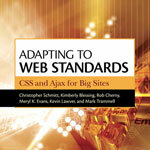 Using the work of premier talented designers in its dialogue, Adapting to Web Standards discusses the application of standards-compliant designs and code that can be adopted into high-traffic websites. 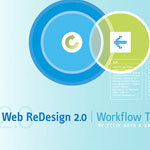 Web redesign 2.0 offers methods for web redesign workflow management. It discusses logistical constraints and how to effectively analyze feature requirements to reach the company’s goals. 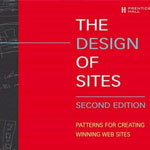 The Design of Sites is a very thorough and sensible book on the topic of customer-centered designs. It discusses formulas that lead to powerful web designs. 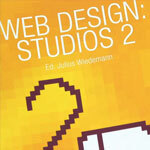 Web Design: Studios 2 is a collection of some of the best web designs. If you’re looking for a book to inspire you on your own projects, check this one out. Many projects require compliance to section 508 (especially true for government work and accessible websites). 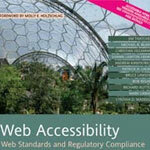 Web Accessibility shares vital information on the subject of accessibility on the web. 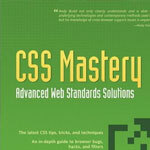 CSS Mastery is about modern CSS best practices and solutions. Two hypothetical websites are included at the end to hammer down concepts covered throughout the book. Most of the books featured here aren’t comprehensive reference books, but it’s a good idea to own one that’s complete and easily-searchable. 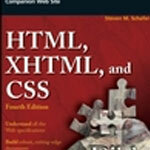 If you’re interested in purchasing one, have a look at HTML, XHTML, and CSS Bible. 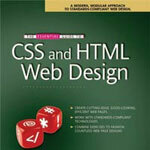 This book is 500+ pages of professional-grade CSS design patterns. 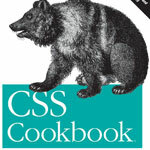 CSS Cookbook covers all elements of a web page (including navigation, page layout, and typography) and is appropriate for intermediate to advanced CSS developers. 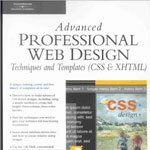 Advanced Professional Web Design uses a “teaching by showing” methodology. The book is accompanied by loads of customizable designs that you can use to jump start your learning. 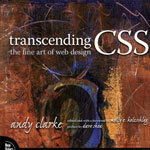 Targeted for web designers who want to improve their understanding of CSS, Transcending CSS provides visual examples and talks about design workflow. Designing websites involves more than just the design itself, it’s also about managing and presenting information to the client. 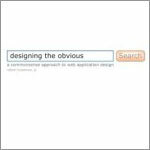 Communicating Design offers tips on presenting designs and developing usability tests, amongst other things.